Are you looking a oscommerce guru. osCommerce website development. We offer affordable osCommerce development services that can be tailored to your companies unique needs and budget requirements. Are you looking for a fresh, user friendly and results driven osCommerce store? We would love to hear from you! Understanding your online business requirements will help us to deliver a unique and modern osCommerce shopping cart for you. The Computer Geeks have fifteen plus years of osCommerce know how, we offer the best in osCommerce development services on various OSC versions including CRE Loaded and oscMax. Our experts have worked on osCommerce websites for all types of businesses's. We pride ourselves on being able to provide our clients with a custom made and individualized service. We will help you when you are looking a oscommerce guru. Are you looking a oscommerce guru. Is your osCommerce store broken?? We can fix it. Does your store have a Virus or Malware? We can fix it. Do you want a custom change to your osCommerce store. We can make it happen. We can lock down your oscommerce store against criminal hacker attacks. Is there a modification that you want added to your store? No Problem. Helpful advice on all that is required to set-up your osCommerce store. 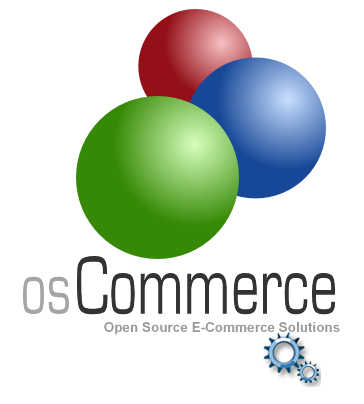 Installation of the osCommerce software on your server. Modification, repair and debugging of existing osCommerce set-up. PHP and MySQL custom programming. Are you getting an error on your home page?? Our osCommerce development services. We will create for you a great osCommerce website by using our custom osCommerce website development solutions. Call us today for help when you are looking a oscommerce guru. Our website needed immediate attention, and one call to the Computer Geek, 60 seconds later I knew we had found our team. They confirmed what the problem was, and laid out an immediate plan of action. Less then 48 hours later, all has been resolved and we found a long term partner! I'm sure you have heard this before but let me tell you again! you are a Genius!! Thanks a ton for fixing up the site. It is super easy to update. And I only have you to Thank you! There I was on a Saturday morning, left coast of the USA (nobody works on Saturday on the left coast). I look at my 24/7 website and find I have been off-line since yesterday. No customers, no money, no fun. I called my trusty webmaster and and found that he was not available, out of town, no cell phone. What's worse , he was the one who had , accidentally knocked my website out of commission. What to do? I went online and found a bazillion companies that said they could help. Wich one should I pick. So, do to a well placed google-adword ad, I chose Rich and the Geeks. Called him (he was there on a Saturday) and took a chance. But not until I read his Testimonial page. The accolades were all true. they fixed my problem quickly and for a fair price. My experience with computer-geek has been outstanding. From the start of our project until the end, the experience has been great ! We look forward to the work we will continue to do with them. The staff was very professional, efficient and responsive. We plan to continue our work with Computer-Geek in the future. oscommerce guru | Computer Geek 5 out of 5 based on 103 user ratings.